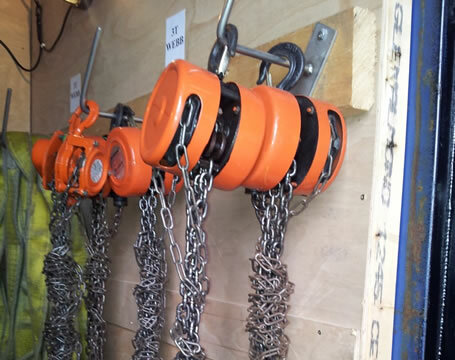 This is a two-day programme that is designed for all rigging and lifting personnel who require to demonstrate competence in the Rigger Role. This standard identifies the basic competencies and safety training required by UK Offshore Oil & Gas Industry for personnel involved in rigging and lifting operations. A valid Stage 1 OPITO Rigger Training Certificate and a fully completed logbook. (stage2). Within 2 years from the completion date shown on the candidate’s Stage 1 Certificate. but can not be less than 50 days to complete all of the Stage 2 tasks. A valid in date OPITO Rigger stage 3 certificate. Candidate will undertake practical assessments that will involve work of a physical nature and will be asked to sign a declaration of their fitness before undertaking the practical exercise. The emphasis of the assessment is on practical skills and competence. Candidates will be required to work with prepared lifting plans and to identify the risks and control measures required. Certain aspects of the course are of a physical nature. The responsibility for the individual completing the course without any adverse effects to their present state of health lies with the delegate and/or company sponsoring the delegate. The price is £508 + VAT Per Person plus £25 +VAT for the OPITO Certificate.